House Minority Leader Nancy Pelosi said Saturday during a visit to the U.S.-Mexico border that she holds little hope that Congress will pass comprehensive immigration reform this year. After visiting a Border Patrol facility in Brownsville holding unaccompanied children, the California Democrat said politics should be set aside to address what President Barack Obama has called an "urgent humanitarian situation." More than 52,000 unaccompanied children, most from Central America, have been apprehended entering the U.S. illegally since October. On Saturday, Dallas County Judge Clay Jenkins said up to 2,000 unaccompanied immigrant children could be transferred from overcrowded facilities in McAllen to his county by the end of next month. He said the plan is to have youngsters spend about three weeks in Dallas County before hopefully being placed with relatives who are elsewhere in the U.S. The federal government will cover the costs, Jenkins said. "This is not a commentary on the immigration debate," Jenkins said on the sidelines of the Texas Democratic Convention in Dallas. "This is about scared and lonely children who are trapped in not good conditions on the border, and what we can do in this county to be a part of the solution." Jenkins said that one temporary housing facility was already being prepared and that officials were searching for two others that would be ready by late July. Gov. Rick Perry had been briefed on the plan, said Jenkins, who added he hopes the state will search for more housing options in other parts of Texas. 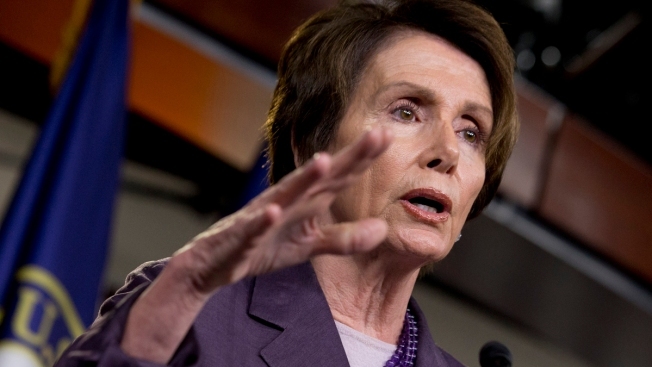 Pelosi said immigrants' cases should be handled on a case-by-case basis. "We don't want our good nature abused by those who would misrepresent what's happening in the United States on the subject of immigration to affect how we deal with a refugee problem." Republicans have criticized Obama's immigration policies, arguing that they've left the impression that women and children from Central America will be allowed to stay in the United States. The administration has worked to send a clear message in recent weeks that new arrivals will be targeted for deportation. But immigrants arriving from those countries say they are fleeing pervasive gang violence and crushing poverty. Next week, House Judiciary Committee Chairman and Virginia Republican Bob Goodlatte is scheduled to lead members of that panel to the Rio Grande Valley and House Homeland Security Committee Chairman Michael McCaul, R-Texas, is scheduled to hold a field hearing Thursday in McAllen. "The fact is these are children, children and families," Pelosi said. "We have a moral responsibility to address this in a dignified way."